A selfie is a self-portrait photograph, typically taken with a smartphone which may be held in the hand or supported by a selfie stick. Selfies are often shared on social networking services. Our culture is obsessed with selfies. Mega Korean electronics maker Samsung commissioned a survey amongst young Brits that revealed 30% of all photos taken by 18 to 24-year-olds are selfies. The average millennial is expected to take 25,700 selfies during the course of their lifetime. That’s almost one a day, every day, for their entire lives. Selfie soldier (782) is one of the latest additions to Royal Model 1/35 scale figure line. The set comes in a vacuum-sealed hard cardboard box. The box art image shows both versions of the figure which can be assembled using parts included in this kit. Some of these pieces are delicate and care should be taken not to damage them during the cleanup procedure. The fingers of the left hand are the best example of wonderfully cast but very thin and delicate details… the protrusions from the fingers which facilitated casting process need to be removed very carefully, as manhandling these could easily result in breakage. The other piece which requires extra care is the selfie stick. I tried my best to clean this piece and get a perfectly round stick, however I failed. So, I’m thinking of replacing the stick with metal rod, as it is round, straight and durable. Assembling the figure was easy. The fit is absolutely perfect, with the protrusions and indentations helping in optimal placement of the pieces. I assembled both versions of the figure for this review and I can’t decide which one I like better. The figure depicts a soldier taking a selfie flashing a ‘rock on’ sign. The figure wears an uniform of general design and configuration similar to BDU, with the shirt featuring 4 large buttoned down pockets and the pants with 2 large buttoned cargo pockets. The kit includes two different heads, one Caucasian with a big smile on the face, and the other African-American sporting a bandanna and sticking the tongue out for the camera. As the kit also includes two slightly different right hand options, one holding a smartphone and the other with a selfie stick, this figure kit can be built in 4 different ‘selfie’ ways. It is up to the modeler to decide which one best suits his needs. Selfie soldier (782) from Royal Model is a very impressive 1/35 scale figure kit, containing pieces to assemble slightly different variants of the miniature. The figure is perfectly cast and easy to build, with the pose of the figure painting an authentic portrait of today’s ‘selfie-culture’. Highs: Cool subject. Perfectly cast, easy to assemble. Two slightly different figure versions are a plus. The epitome of millenial stupidity, esp. the black guy sticking out his tongue. Definitely not a figure I would buy. 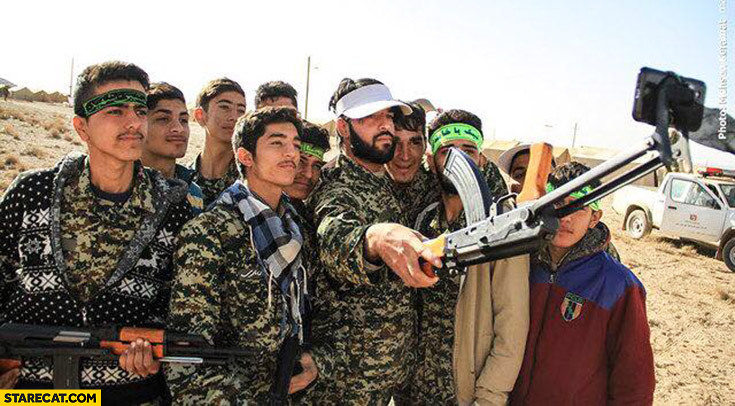 Even at my advanced age I'm not going to go all "angry old man" on this, but I do have to ask: At what time did US troops have those style pockets, roll up their sleeves, and had selfie sticks available to them? That's a fairly new phenom as far as I can tell. Applause and kudos to Royal Model! Any modern relaxed figures are welcome. Everything does not have to be related to a stoic pose of a commander on an AFV. This is great for all kinds of dios and vignettes....PMC, small armies, vehicle restoration...lots of options. Injecting some emotion or humour into a scene with high quality resin figures is awesome! Hate the idea in real life so I can't see why I'd want to model it, though it might have some comedic value (texting into a mine field, Selfie after being captured, etc. Loads of laughs. That outfit is so generic you could make him a freaking civilian truck driver. A touch of putty here and there for various pocket configurations could make him country specific but uniforms of that basic cut are used all over the world. And as any ethonographer or anthropologist will tell you there is more variety within a population than between populations so the faces are not ethnically specific until the painter chooses.